Photography and travel have been linked since 1839, when Daguerre and Talbot first made their inventions known to the public. The inventors and their advocates immediately recognised photography’s capability to vividly represent the spectacles of the world, and make them accessible to the general public in the comfort of their homes. The unquestionable connection between photography and travel remains vital today. 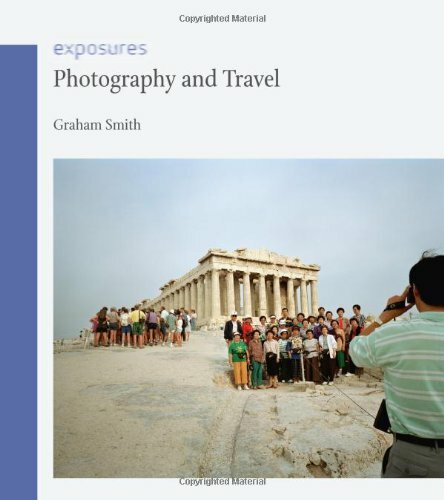 In Photography and Travel, Graham Smith provides a lively account of this partnership, discussing the diverse applications of photography to travel during the nineteenth century, in destinations as exotic as France, Italy, Greece, Egypt, Japan and North America. He then moves to the twentieth century, ranging from seaside excursions to transcontinental travel by rail, road and air. As it has become more democratized, the methods and experiences of travel have developed in many unexpected directions, all of which have created their own new photographic narratives. Photography and Travel shows that photographers have often gone to great lengths – at considerable personal danger – to record exotic destinations, from the ice caves and crevasses of the Mer de Glace to the maw of Vesuvius, from the summit of Mount Everest to the pock-marked surface of the moon. Photography and Travel provides a fascinating account of the 170-year partnership of the photographer and the traveller. Featuring a wealth of images from all over the world, the book will fascinate intrepid photographers as well as experienced – and armchair – explorers everywhere.